Have any questions related to literacy or language? Shoot your questions right away to hippocampus.librarian@gmail.com and have literacy expert Dr. Shailaja Menon answer them. Big questions, tiny questions, serious questions, silly questions, soft questions, hard questions – we love them all. So don’t be afraid to ask! Q. What is the big deal about Reading Aloud? A: Reading Aloud should be an integral part of the daily routine of classrooms and homes. Read Alouds provide an opportunity to introduce children, from an early age, to high quality literature. Literature sparks children’s imagination and brings them into connection with the collective knowledge of human experiences and relationships. It acts as a window into worlds that children have not yet experienced for themselves; and it serves as a mirror for them to understand and examine their own lives. Reading Aloud good literature also helps create a space in the classroom for productive TALK and discussion around the books, ideas and stories shared. Children are often discouraged from talking in many Indian classrooms. Research, on the contrary, suggests that classrooms that are rich with productive talk around shared ideas, create conditions for children to develop their oral language, vocabulary, comprehension and literary engagement and appreciation. Reading Aloud good books also provides “models” for children to use in their own attempts at creating texts of different kinds. Teachers can use the books shared in the classroom to introduce children to different genres of writing (e.g., realistic fiction, fantasy, non-fiction, etc. ), and can discuss the techniques and strategies that authors use to create texts of different kinds. In short, Reading Aloud is one of the most powerful, versatile and easy to access techniques to foster language development, critical thinking skills and a lasting love for literature! Dr. Shailaja Menon currently works as faculty in the area of Language and Literacy, School of Education, Azim Premji University. She has her Ph.D. in language, literacy and culture from the University of Michigan, Ann Arbor, and degrees in human development and psychology from MSU, Baroda, and Delhi University, respectively. 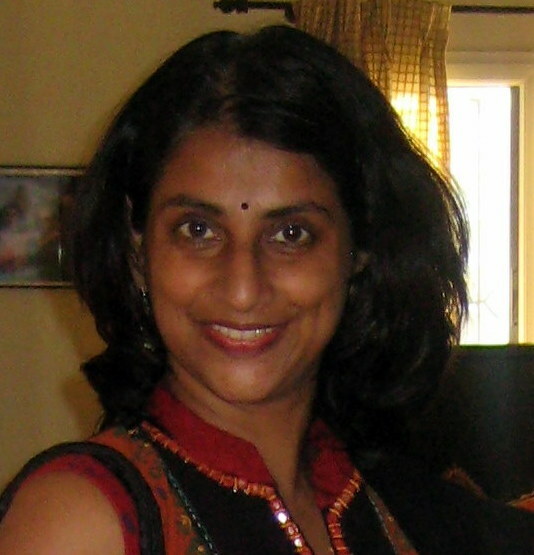 Shailaja has worked in various educational settings in the US and in India. She has an abiding interest in imparting a love for language, literature and literacy to children, teachers and teacher educators and engages in a variety of initiatives that help promote these. HEART OF THE SCHOOL is aimed at showcasing dynamic school libraries across the country where librarians are doing amazing work to build and nurture a culture of reading. This month, we are featuring Bangalore International School, Bangalore, and highlighting a few key aspects of their library that have contributed to making it a special reading space for children. The BIS Library Media Centre is often described by the school as an ‘intellectual getaway’. a) Enthusiastic team of librarians – The first thing that will strike you about the BIS library is the incredible enthusiasm exuded by their team of librarians – Joseph Colin, J Asha and Suryanarayana. It’s always heartening to see librarians who are open to exploring new ways in which to promote joyful reading, even when there are challenges involved. The BIS library team believes that their strength lies in being able to create a friendly atmosphere in the library and being flexible in their approach. b) Diverse library activities – There’s never a dull moment at the BIS library. While there is ample time set aside for quiet reading time, diverse library activities aimed at making reading fun for children are conducted frequently (Bookmark contests, analyzing book characters, making book-related posters, writing letters to authors, etc). c) Author visits – At BIS, children love interacting with authors. Some of the authors who visited them in 2013 were popular writers Poile Sengupta, Monideepa Sahu and Rukhsana Khan. This year, even before May 2014, they are hoping to invite children’s writers Deepika Murty (Pika Nani), RamG Vallath and Suzanne Sangi. d) Growing, relevant book collection – Today, there are roughly 30,000 books at the BIS library. Every month, 30 new books are added to this collection. What’s impressive is that book-suggestions from children are taken very seriously and the library team doesn’t hesitate to procure these books. Weeding of books is an annual affair, with typically around 50 unused books being removed. This helps them maintain a relevant collection that is used by children. e) Recognizing challenges and searching for solutions – Like with any other library, the BIS librarians are faced with challenges and to tackle these, they are constantly experimenting to see what works. For instance, getting middle-school children interested in reading has been an ongoing challenge for them. To solve this, all middle-school children were asked to suggest books that they would like to see in their library. These books were procured and activities based on these books were conducted. Involving their favourite literature teacher while conducting library activities also helped. Write to us at hippocampus.librarian@gmail.com if you feel that your school library is a dynamic learning space that deserves to be highlighted in HOO’ked on Books.